Joanne Woodward, legendary actress and widow of actor Paul Newman, is battling Alzheimer’s disease. According to sources close to the family, Woodward faces a grim prognosis. Woodward’s first film was a post-Civil War Western, Count Three and Pray, in 1955. She continued to move between Hollywood and Broadway, eventually studying in the New York production of Picnic, which featured her future husband Paul Newman. The two were married in 1958, after their work together in the film The Long, Hot Summer. By that time, Woodward had starred in The Three Faces of Eve (1957), for which she won the 1957 Academy Award for Best Actress. One of her favorite roles was in the movie A Big Hand For The Little Lady. She graduated from Greenville High School in Greenville, South Carolina in 1947. Woodward won many beauty contests as a teenager. She appeared in theatrical productions at Greenville High and in Greenville’s Little Theatre, playing Laura Wingfield in their staging of The Glass Menagerie, directed by Robert Hemphill McLane. She returned to Greenville in 1976, to play Amanda Wingfield in another Little Theatre production of The Glass Menagerie. She had also returned in 1955 for the premiére of her debut movie, Count Three And Pray, at the Paris Theatre on North Main Street. Woodward majored in drama at Louisiana State University, where she was an initiate of Chi Omega sorority, then headed to New York City to perform on the stage. As Joanne Woodward is fighting for her life, the children are battling over the Newman fortune. 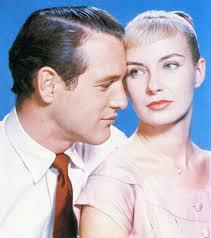 Joanne Woodward was married to Paul Newman for five decades before he died of lung can­cer in 2008. Woodward and Newman share three daughters – Nell, 53, Lissy, 51, and Clea, 47. Newman also has two daughters from his first marriage to Jackie Witte, Susan, 59, and Stephanie, 58. Paul Newman was proceeded in death by his son Scott, who died from a drug overdose in 1978 at the age of 28. 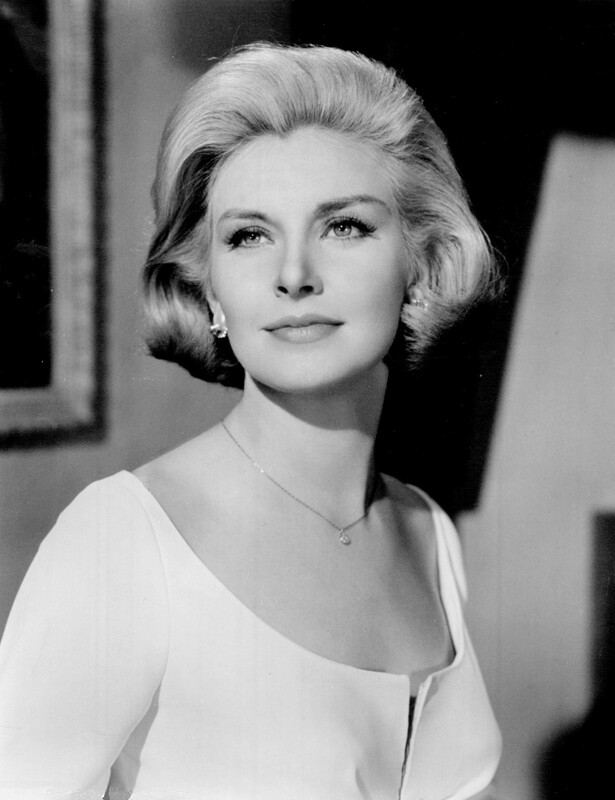 Such a shame at this time in her life Joanne Woodward and Paul Newman’s children are fighting over money. It’s anyone’s guess what Joanne Woodward planned in her will. Neurological diseases known as dementia are the fastest-growing cause of death in the world. Women are twice as likely to contract the disease as men. Some regions of the world are being struck especially hard. The Alzheimer’s disease epidemic is spreading exponentially because of misinformation and mismanagement. Patients, caregivers, family members and millions of other stakeholders deserve the truth. The epidemic is much worse in some regions of the world than others. The reasons will shock you. Betty, there are many stories going around about this so-called fight, I for one believe little of them. Just like Joanne and Paul their daughters seem to have lived very private lives, so I can’t imagine they would do such a thing, at least not in a way the public would get to know about it. I totally am with you in your hope Joanne is treated with love, patience and dignity, by her family and by everyone around her. The one time I “almost” met Joanne Woodward was around 1952. I was in a rehearsal studio in Carnegie Hall waiting to meet a friend when I saw this very beautiful young blonde… our eyes met and for maybe 5 minutes we couldn’t take our eyes off each other. Unfortunately the friend I was waiting for showed up and I left, losing my chance to meet her. Only a few weeks later she popped up again most unexpectedly in a drama on the TV screen…. she was terrific and I once again regretted having missed the opportunity to meet her when I could have. Years later, In 1955, she popped up a third time: this time on the movie screen in her first movie opposite Van Heflin, “Count Three & Pray”. She was wonderful …. I saw every movie she ever made after that… remaining always a secret admirer. It saddens me deeply to learn that she suffers from Alzheimer’s. I am so sorry to hear of Joann’s illness. I grew up in South Ga. and had read she was originally from Thomasville, Ga. I always admired her so much and loved every movie she was in, especially Three Faces of Eve. I thought it was wonderful that she and Paul Newman had such a wonderful marriage and set such a good example for others. I pray her children and friends will be good to her. It grieves me . But we need to know that nothing is wasted in King Jesus’ kingdom. As long as there is breadth there is purpose even if we do not see it. So sad to slowly fade away as far as we can see on this side of eternity. I pray during this time Mrs. Newman will be fully aware of the presence of the Almighty and her heart completely his. this is sad news just shows how fleeting life is, we should treasure every moment while we re here, all good things come to an end as they say. on a more uplifting note ,they will be together again soon, what a day that will be. we re all to loved by god for death to be the end of it if you have hope its worth more than money .never give up hope. Bless you Ms. Joanne.aka Miss Varner. I am so sad for her, and I have prayed that out Father in Heaven will shower her with His love. I pray that when her mind was sharper – she loved and trusted in him. I agree with that other writer. We are to share what God blesses us with. If the places the Newmans shared their wealth with was in keeping with God’s will, He will see that His will is done. Paul and Joanne’s children have been greatly blessed. If they are wise and use their blessings wisely – they will never want for anything. But they have no right to ALL their parents earned; it was their parents to do with as THEY wanted. I pray their hearts will be softened, and they will care for their mother with much gratitude and love. Its nobody’s business but the families. Don’t care what the will was business. who said they are fighting? And the money from both estates should be equally divided between all children and charities. Don’t care what the will says people get weird right before they die anyway. I have long loved the Paul and Joanne love story! For two such talented actors to find a life long devotion to each other was heartwarming! It makes me so sad that Joanne has lost her memories of her Paul is heartbreaking! I pray for peace for her and the daughters, may God see them through this difficult time! Think of ms, Woodward often. She is a remarkable woman no matter what this disease has stolen. My mother had the same disease and yet I know my mom was in there and I remember all the wonderful things she did for my 3 sisters, my dad and many others that never knew her generous spirit. I understand the pain her children are going thru and I hope they will be able to hold on to all the beautiful memories they share of their mother. No one need judge them. I have always been a fan of Joanne and Paul both. Just read about her battle with alzheimer disease and am heartily sorry to know she is going through this. I hate this particular disease almost worse than any because how it not only effects the person diagnosed but all their loved ones who must stand by helpless and watch their deterioration. My prayers will be with you all…. I am saddened to hear of her struggle with Alzheimer’s. What a beautiful and talented lady she is. I hope and pray the “children” will abide by their parents’ wishes, and make her last days comfortable and loving. With all do respect to Ms Newman, my concern is for her children….it has been said that when you lose your mother you lose your best friend. Well, I know this to be true. Within just the last few years we have lost a lot of our Stars that have given us all a part of their own lives just to entertain us, (the FANS)! I guess what I’m saying is this, i shall pray for you girls and your families wishing you all a long life like your parent had. Because they had a very good happy and full life. Now-a-days that is so very hard to come by. Life’s imperfections are cruel to all mankind. My wish for you all is a blessed life. You girls don’t miss a moment of your mothers life because when she goes to sleep in death you will truly miss your mother & best friend. This ones for you Ms. Newman, thank you for sharing your husband & your own life with all your beautiful talent. I have enjoyed watching your talent on TV. My favorite shows was Sibll & The Three Faces of Eve. When will people get a reality check that no one lives forever and no one takes any materialistic objects or money with us, after passing. Joanne and Paul’s daughters should cherish every precious moment loving their mother and each other!!!! Joanne was a wonderful, wife, mother and actress. Her and Paul were meant to be. to see the love and goodness in you before she fell ill. I so agree with Mrs. Rayot. I’m a big, big fan of the both of them, it’s sad. Its so sad it came to this. Paul Newman had his camp . He loved giving , she always with him. Don’t let her legacy change . Let people see her as she was witty , beautiful and so in love with Paul. Do with the money as you know she would of wanted. You will all meet again . I know the love they had for each other is strong. He will come for her . I doubt if he will let her suffer. You know I have had an emotional love affair with Paul Newman since I was 13 years old and saw him in the movie, Exodus. Even though I had this overwhelming passion for him I was never envious of Joanne and I think it’s because I knew they truly loved one another. They always came off to me as truly having each other’s back and having affairs wasn’t worth the end of their loving relationship. Once my mom turned on Paul Newman and Joanne I love to see them and we need more long lasting marriages in the world today like theirs I pray for you Joanne. Joanne Woodward was really sweet and desirable, I would have definitely married her if I had of getting the chance. Take care Joanne. Eric Cuthbert. Ireland. Thank you for your e-mail. Alzheimer’s disease affects the brain, which gets clogged up because of drinking coffee, tea and other substances (in my opinion). The brain needs to be cleansed by drinking plenty of distilled water and pure fruit juices and no (coffee, tea or alcohol). After a few months the brain Will clear. Please give this advice to Joanne and all who have Alzheimer’s disease. I will send some money when I can. Yours truly. Eric Cuthbert. Rep of Ireland. Thank you Joanne where ever you are for your outstanding talent, your passion and your unending beauty. From what I’ve read, the population of India is one quarter less likely to develop Alzheimers than populations in the West. It’s thought this statistic is attributable to the every day consumption of turmeric. Common turmeric powder used in cooking has a preventative effect over the long term. The most talented and beautiful soul of both of these people, the fact that they stayed together for so many years, and dedicated time and money to helping children and people that are suffering around the world is something to celebrate as excellence in a wonderful life. Dementia may be a prelude to transitioning toward the next existence where all is left behind as we begin again. That said, I do believe that the children are not being selfish by wishing to have some of the finances that their parents generated. I think they should donate also to the charities their parents cared about, and should not have to relinquish what should be theirs, at least in part. / especially because of their mothers diminishing ability to make decisions. I would not fault the children for taking the estate along with their mother’s care to court to make a fairer analysis of the estate. People shouldn’t have children if they don’t intend to leave them, and leave this world with them in it, without every possible resource passed on to them, including money. Charities are wonderful, but can also be corrupt, thereby making complete strangers to the family wealthy. This inheritance should be taken to court before JoAnn leaves the building. The fortune should not be a mystery to be read to the children after she is gone. It should not be told to them by lawyers and others that gain by their loss. Parents – be ALL in, or don’t have kids, lest we bitterly live on remembering parents that gave it all to others. Such a lovely person to have such a horrible disease. My prayers are with her. Joanna Woodward is from my hometown Greenville S.C. so i was sad to hear that she has alzheimer’s because I thought that she already had passed away like Paul Newman. So it was a shock to realize she is in the state she is in her last days. May God be with you miss Woodward. Joanna Woodward is from my hometown Greenville S.C. so i was sad to hear that she has alzheimers because I thought that she already had passed away like Paul Newman. So it was a shock to realize she is in the state she is in her last days. May God be with you miss Woodward. I hope the Newman’s Own brand does not suffer from this family squabble. It’s charitable influences will be felt long after the daughters are pushing up daises, as it was designed to do. Really a shame she has Alzheimer’s disease. I was always a huge fan and especially loved her performance in The Three Faces of Eve! She most certainly deserved that Academy Award!